These Hot Chili Pepper Truffles are made with a dark chocolate ganache spiced up with cayenne pepper for a unique homemade candy with a kick! VINTAGE VIEW ~ these Hot Chili Pepper Truffles are from TVFGI archives, first published in 2013. As part of a series on the blog I’m reviving some of the best recipes that you may have missed over the years ~ I’ve updated my notes and taken new photos. I’ve always been drawn to the combination of chocolate and spice, and these truffles don’t disappoint. I know this is a terrible tease. All you see are little balls of chocolate. They could taste like anything, really. 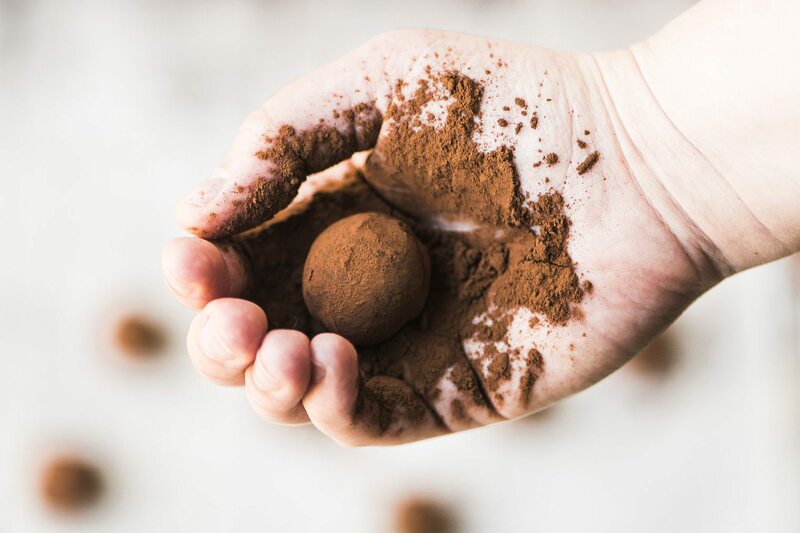 How would you know that when you bite into one of these silky truffles you not only get the rich flavor of extra dark chocolate, but a pleasant hit of spice at the back of your throat as you swish the silky ganache across your palate? It’s a lovely experience, but not a visual experience. You need to pop one of these hot chili truffles into your own mouth to really get it. If you’ve made my SMOLDERING HEART COOKIES ~ dark chocolate shortbread kicked up with cayenne ~ you’ve got the idea. But like so many interesting flavor combinations, this one is anything but new. Chocolate has been enjoyed by humans for thousands of years, and it was originally consumed unsweetened, paired with chili peppers. The word chocolate comes from the Aztec word for ‘bitter’, and the dark or bittersweet chocolate in these truffles plays off the spicy chili in the most alluring way. If this interests you, you can read more in depth about the relationship between chocolate and chili on Serious Eats. I’d say this would be a perfect thing to make for your Valentine, or, better yet, with your Valentine. The process of making truffles is easy and pretty sensuous, actually. I have several other great truffle recipes on the blog if hot chili peppers aren’t your thing. My COFFEE AND CARDAMOM TRUFFLES, for instance, or my HOMEMADE FERRERO ROCHER TRUFFLES. 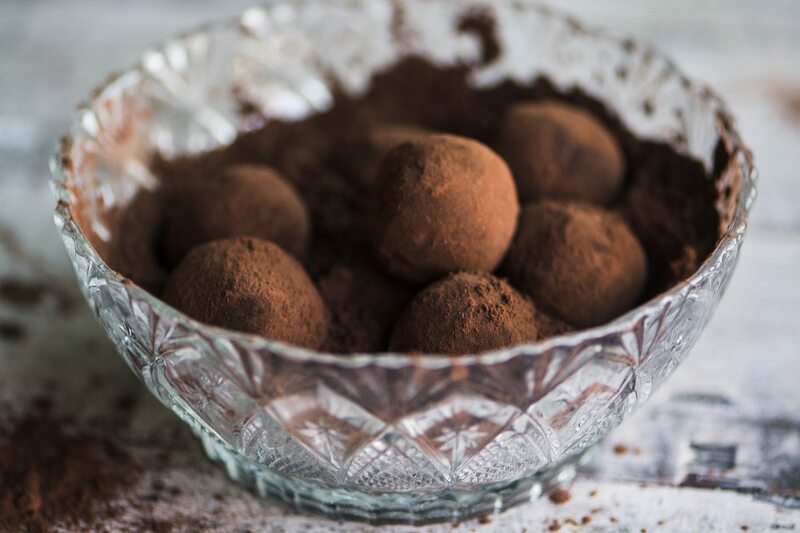 And if you’re truly obsessed with truffles check out my epic collection of 20+ best chocolate truffle recipes. 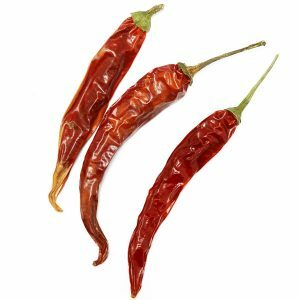 Cayenne peppers are long tapered red peppers, and as hot peppers go, they’re only moderately hot. That makes them a good choice for drying and grinding into a powder for cooking, and you’ll want to use it when you need a reliably moderate kick of spice in your recipes. I like it because it adds heat without a strong flavor. Start with 1/4 teaspoon and adjust to your taste. 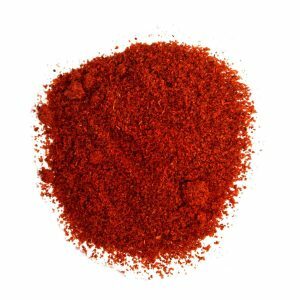 I use cayenne pepper in everything from CARROT or CHICKEN SOUP to PINEAPPLE CHILI SORBET and MOLTEN LAVA CAKE! Heat the cream until it just comes to a simmer. You can do this in a small saucepan on the stove, or in a bowl in the microwave. Meanwhile, if you are using bar chocolate, chop it into small pieces. Add the chocolate and chili powder directly to the hot cream. Let it sit for about 5 minutes, and then stir until the mixture is smooth and glossy. If the chocolate isn't completely melted you can heat it for about 15 seconds in the microwave and stir again. Cover with plastic wrap and set the bowl in the refrigerator to cool for about 2 hours, or until the ganache has hardened enough to be scoopable. Using a small 1" sized scoop, a melon baller, or a teaspoon, scoop up small amounts of chocolate and set them on a plate. Work with about 10 truffles at a time. Roll each truffle around in your palms until it is a smooth ball. 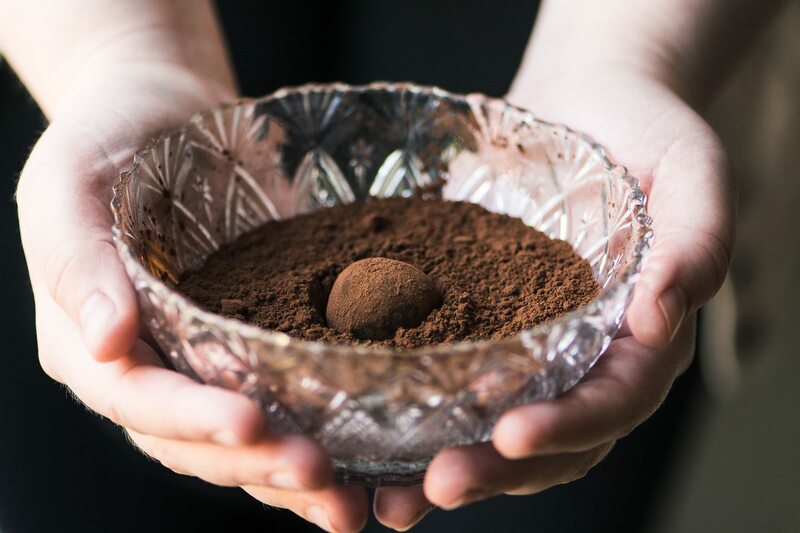 Roll each truffle in the cocoa powder until they are completely coated. 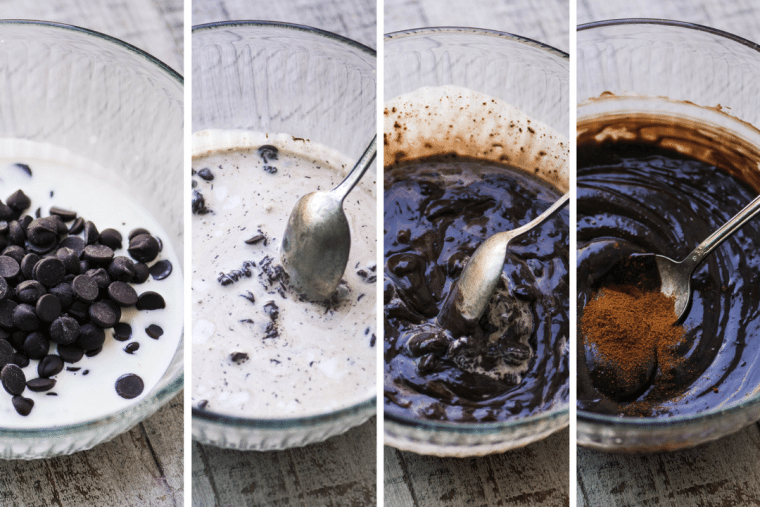 Repeat the process with the rest of the truffles, cleaning your hands in between batches. You can store the truffles in the refrigerator, and you can serve them chilled or at room temperature. Feel free to adjust the amount of chili to suit your needs, if you’re feeling adventurous, add more cayenne. You might try using other hot spices in place of the cayenne ~ try chipotle chili powder, or even hot smoked paprika. You can use milk chocolate as well. Don’t forget to pin these Hot Chili Pepper Truffles! I’m kind of freaking out since it’s the day before Valentine’s Day and I’m making them for my Valentine. I saw this recipe and just now tried it. All the chocolate is melted but there’s this layer of grease on top of the chocolate. I assume from the whipping cream? I thought it would all incorporate once heated. Help!! Not sure what happened Erin, be sure to stir the mixture thoroughly, and then it should become smooth and glossy. You can also re-stir it while it is chilling, which should help to get everything combined. Would it be all right to let the ganache chill for longer than 2 hours? Or even over night? That should be fine, and if it seems too hard to scoop when you take it out, you can leave it at room temperature for a bit. This recipe was very easy and tasty! I didn’t have a melon baller, so I used a 1/2 teaspoon to scoop out the chocolate. Sadly, my truffles just turned out to be clumpy eyesores. Not sure why I couldn’t get them to form beautiful balls like those pictured. I used a little scoop like an ice cream scoop and it makes them perfectly round, for sure. But remember Justin, truffles are named after misshapen little fungi ~ they’re supposed to look rustic! If your ganache is very cold it can be hard to get them round, try it a little less chilled next time. I love to spice the food with cayenne, too :) never tried it with chocolate, it’s a great idea! I think it should taste perfect together – dark chocolate with spicy hot aftertaste, yum! These truffles look so good! I love chocolate and chili together – so delicious ? Perfect for Valentine’s day too! 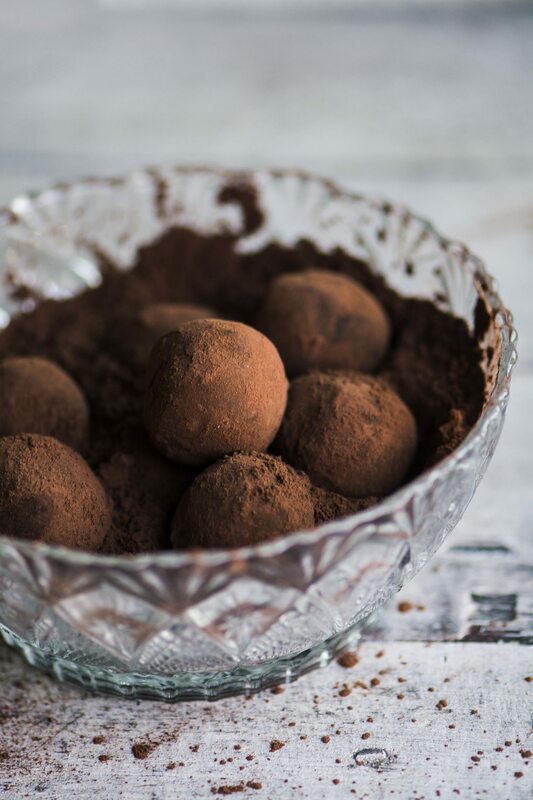 There’s nothing better than chocolate truffles… these look dreamy! Sue, I think this would be fabulous. I’m not a candy eater myself, but I’m sure I’d score points with my husband and friends by whipping up a batch or two of these! I love my cayenne too. And my chocolate so I’m quite certain by just looking, that these would be a hit! Great photos too! I love chocolate and spice together! It is such a surprise when you bite into them! Beautiful photos! The heat is so interesting, too, Beth, because it doesn’t ‘hit’ you right away. 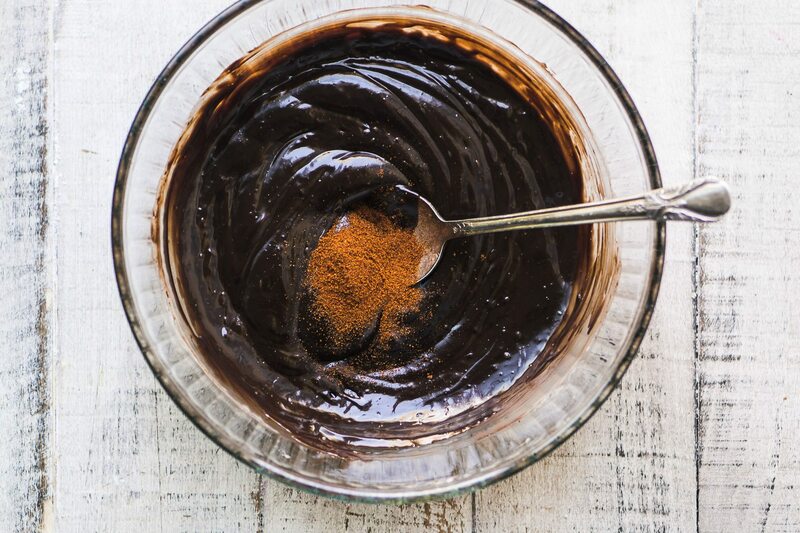 I love the idea of cayenne and chocolate…it looks amazing. They look amazing and the flavors sound incredible. Reminds me of the movie Chocolate! Absolutely love this recipe. Normally I find truffles way too rich for me, but with that spicy kick they’d be just right! Love these! Pinned! Candy with a kick! 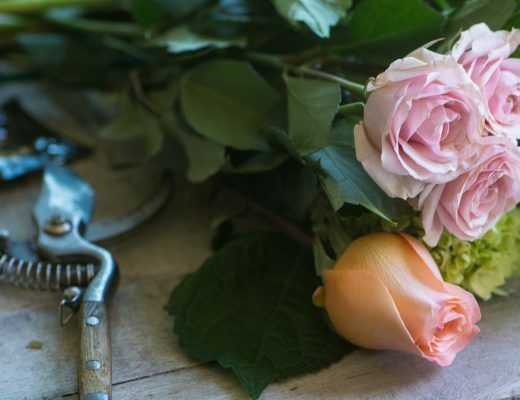 These are a must try for Valentine’s Day! I bet they are addicting! These look so good! I love a little spicy kick! These truffles look so tempting! These look amazing! How long would they last? Would I be able to send them in the mail? Truffles will last at least a month, but I like to keep them refrigerated. If the weather is on the cooler side, you should be able to ship them. My sister is having a Fire themed party, with lots of spicy things to eat, I’m making and bring these! Great idea ~ it sounds like a fun party! Hi there, thanks for the recipe! I just made a batch and they are good but soooo spicy… I put in a teaspoon of cayenne powder, like you said, but I don’t think I can manage another one! I wonder if I tried to make a second batch, melt everything again and mix it together with the first batch, it would halve the amount of cayenne and I might be able to hack them then! I will update the recipe to suggest a smaller amount of cayenne as an alternative, Marina! These truffles need to happen in my kitchen! Thank you for this recipe! I love the chili/chocolate combination. I’m betting these truffles would be exactly my thing. Now, whether my man would agree with making truffles as a fun activity for our next date night, that might be up for debate. Have a great day, Sue! I think chili peppers add a delightful touch to all sorts of things. I made chili oil today and love to use it here, there and everywhere. 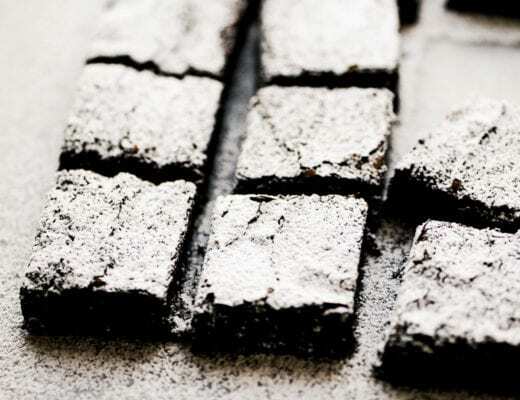 Your truffles look wonderful and very addictive! I just had a chili pepper truffle at a chocolate tasting and it was awesome. I’ve made chocolate chili cookies and they are great after a Mexican meal. Well, really anytime. In any case, these sound great! these sound great! 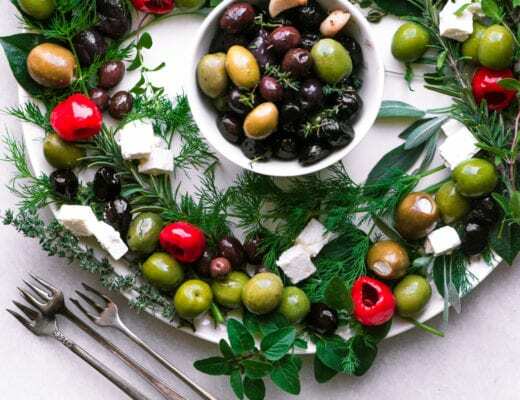 your pictures are just so lovely, and the concept is a winner too–chocolate and chiles is a combination i really enjoy. I have yet to try an intensely flavored and spicy chocolate truffle..I need to! Ive had some that were mellow but nothing with intensity! Must save one for me! They sound heavenly. You are such an artist! I am a chicken but love these outside the box ideas. I enjoy spicy so these may be for me :) My valentine is not a chocolate fan however, but I am!